OuiPlease is a guilty pleasure for me. 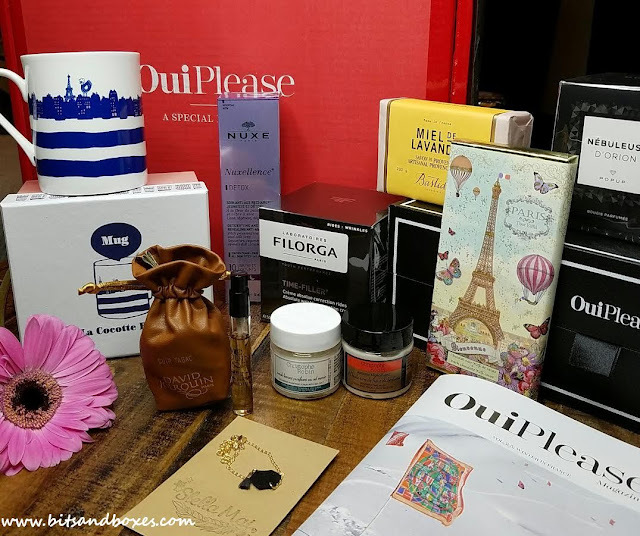 They send only products from France bi-monthly and it always has something new and unusual. 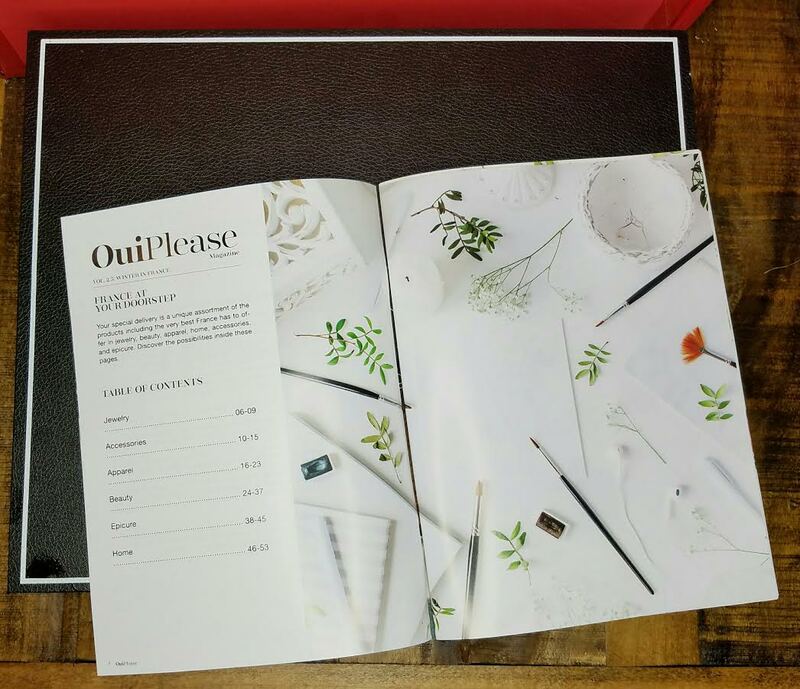 Most products can only be found in OuiPlease and you won't see them in any other subscription. I was subscribed for a year and then let my subscription lapse because I wasn't impressed with customer service and the variety between boxes left a lot to be desired. Sometimes someone would receive a box with $600 worth of product while another one would receive $250. While I'm not super hung up on value if things are useful to me, this was one of the only boxes I got that instilled me with "box-envy." Now it seems that boxes are a little more even-handed, though there is still a slight disparity. It's nothing like it used to be though. The other reason I re-signed up? A insanely good coupon. INSANELY GOOD! I posted about it. It was 40% off all subscriptions. So I signed up for another year. What You Get: A unique selection of full sized French products. In addition to all of the hand-selected gifts, your parcel will include the latest issue of our own “OuiPlease” magazine. 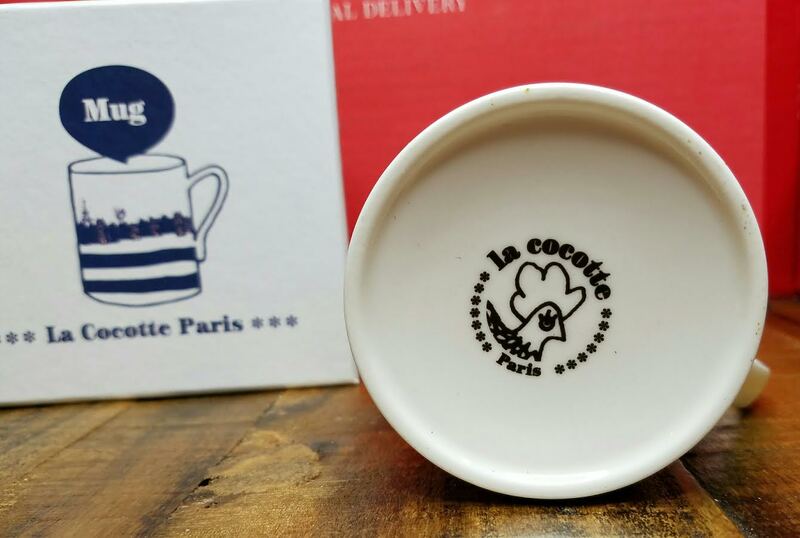 Explore deliciously simple French recipes, exclusive interviews, style tips, lifestyle pieces, and discover the full range of current products that were distributed across America. 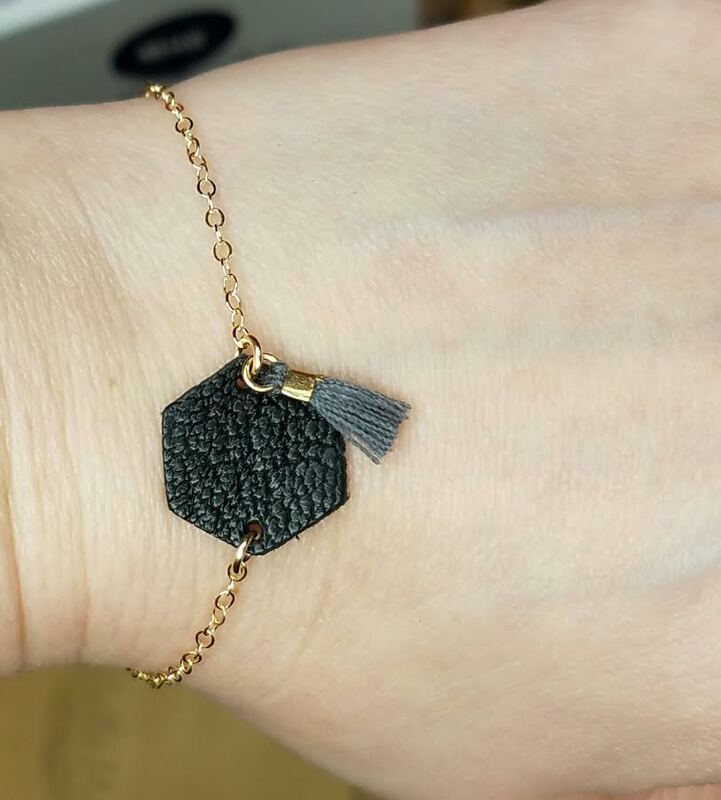 Stella Mai Paris- This is a delicate, minimalist bracelet made of 14k gold and leather. These are made exclusively for OuiPlease. It's actually very dainty and pretty when on, which I wasn't expecting. It seems so... spare, I guess. 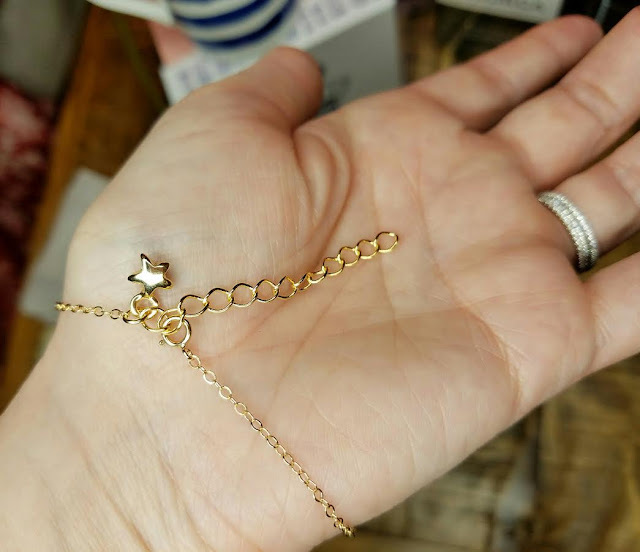 What I love most (besides the adjustability) is the tiny golden star charm. 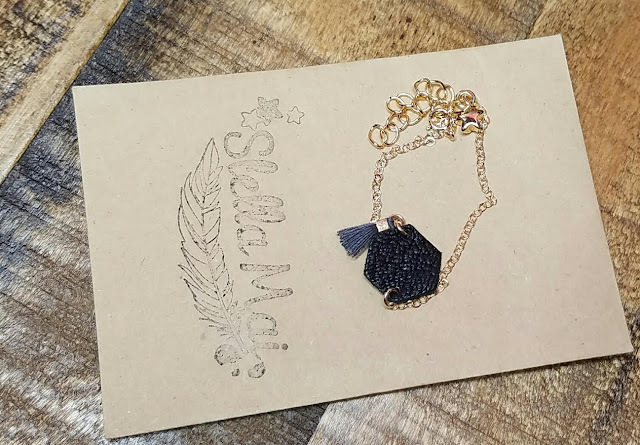 I almost want to try to swap places with the little tassel and put it near the black leather. 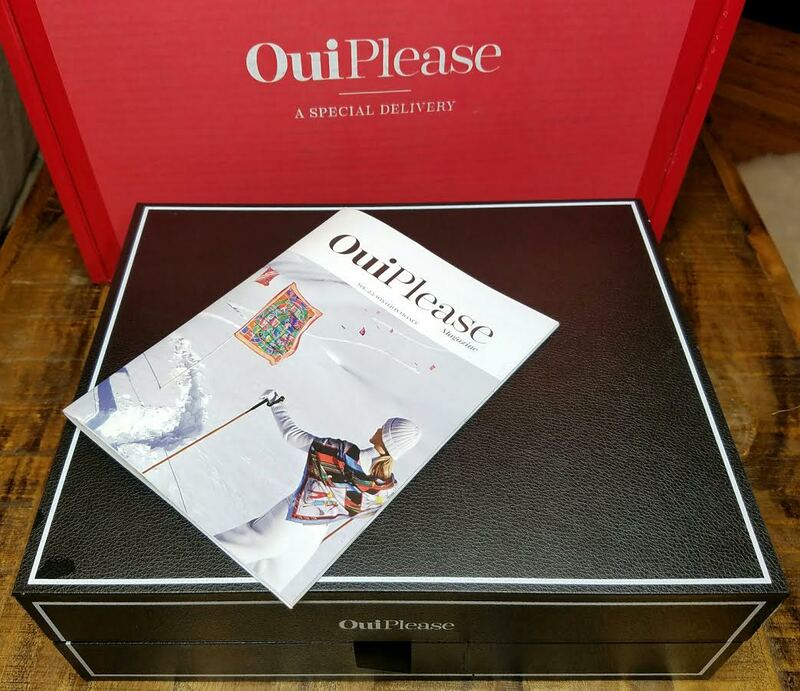 I've noticed that most jewelry from France (at least in OuiPlease boxes) tend to be like this. Very delicate and simple. Rarely is anything gaudy or clunky. I like it! Christophe Robin Regenerating Mask and Cleansing Purifying Scrub with Sea Salt- These two products are for your hair. I was a little disappointed to discover that since they sound like skincare! Get a healthy scalp and shiny hair by using both of these. They're so expensive for such small jars! I should note that I got one of these in my Sephora Play box a few months ago. 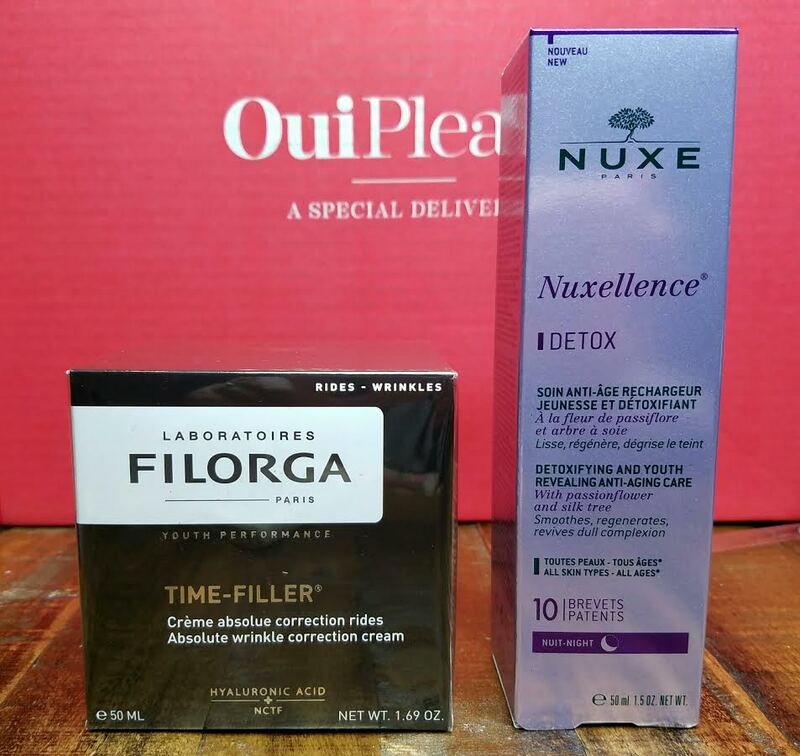 Laboratoires Filorga Time-Filler Moisturizer- This has some great ingredients so I'll likely be using this. PLus, you know, I'm at that age where things like this are essential. This has a bunch of peptides, antioxidants and hyaluronic acid. It's also a huge jar. I don't really like jars but I'm going to see how I like this. Nuxe Nuxellence Detox- This is so interesting, I think I need to try it. It's a moisturizer they suggest using at night in order to help "detox" your skin. Your skin doesn't really need help detoxing itself since it's a barrier in and of itself BUT you can moisturize and exfoliate the top layer of dead(ening) skin cells which will reveal the new, fresh ones underneath. I use a glycolic acid moisturizer for that purpose and it works wonderfully. 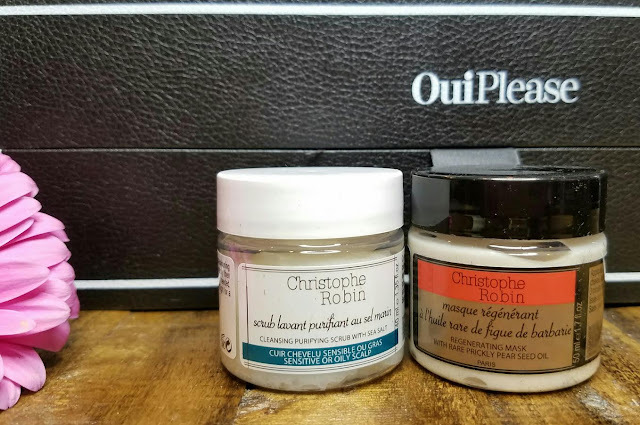 This seems to use citric acid for that but it's also got a bunch of oils, glycerin, sodium hyaluronate, etc which makes it seem like a great moisturizer, too. I'm definitely curious to see how it behaves on my skin! Bastide Aix en Provence Miel de Lavande- This is a huge chunk of soap. It's unfortunately made with lavender so I can't use it (I had to put it outside it was so strongly scented) but I wish I could! This brand is the same company as Fekkai so that's interesting. 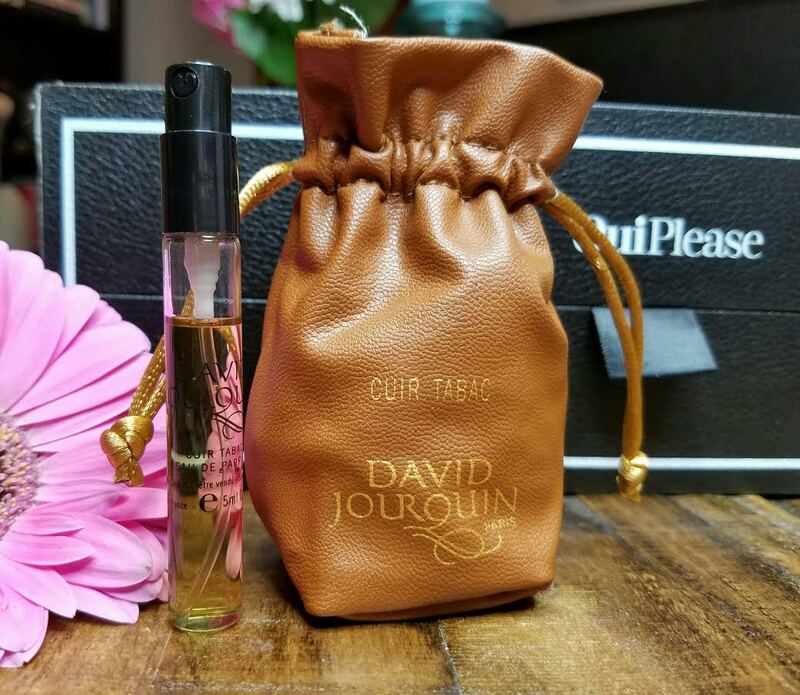 David Jourquin Cuir Tabac- This is a fancy perfume spritzer! Wrapped in a leather bag, it's a large spritzer at 5ml. 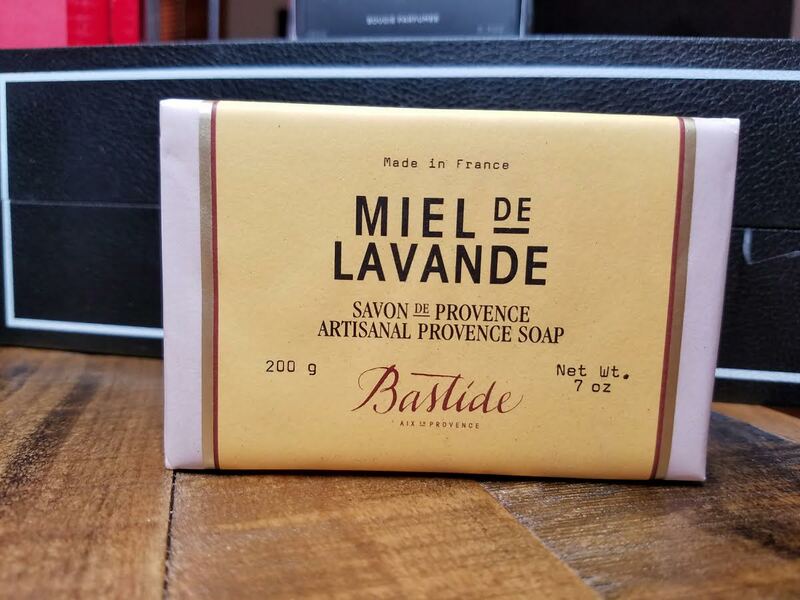 the scent is described as rich tobacco, cigar and musk notes with a murmur of fresh lavender and a dash of earthy patchouli. Since I'm allergic to lavender and patchouli gives me headaches I can't try this even though I desperately love tobacco scents!! sad! 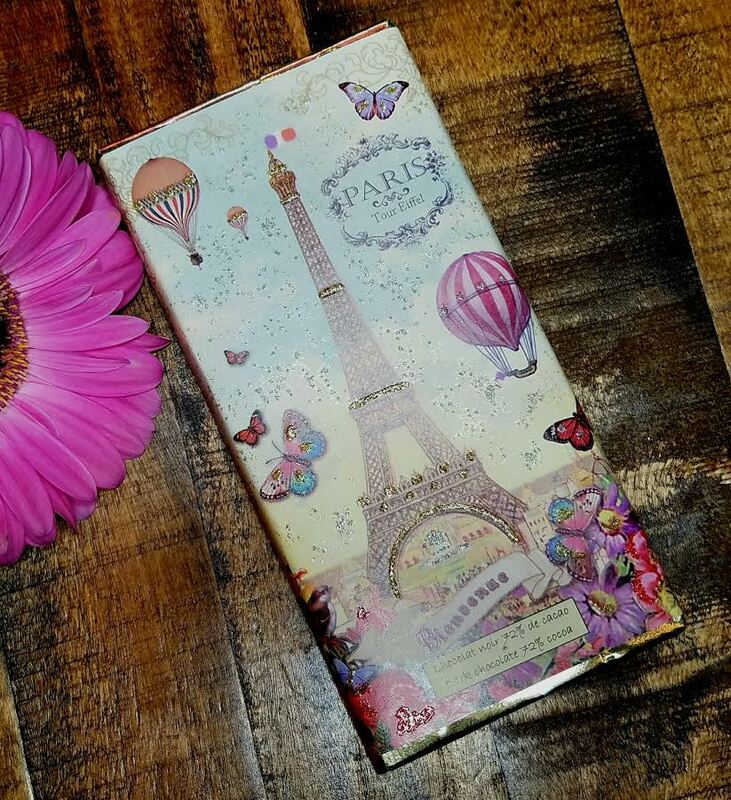 Marie Bouvero l'amour du chocolate Paris Ballon Dark Chocolate- I'm so happy this is dark chocolate! I love it as dark as possible. The only thing is that the packaging is so gorgeous I don't want to open it! La Cocotte Paris Mug- There were two mug designs available and I have to admit I wanted the other one but this is still cute. 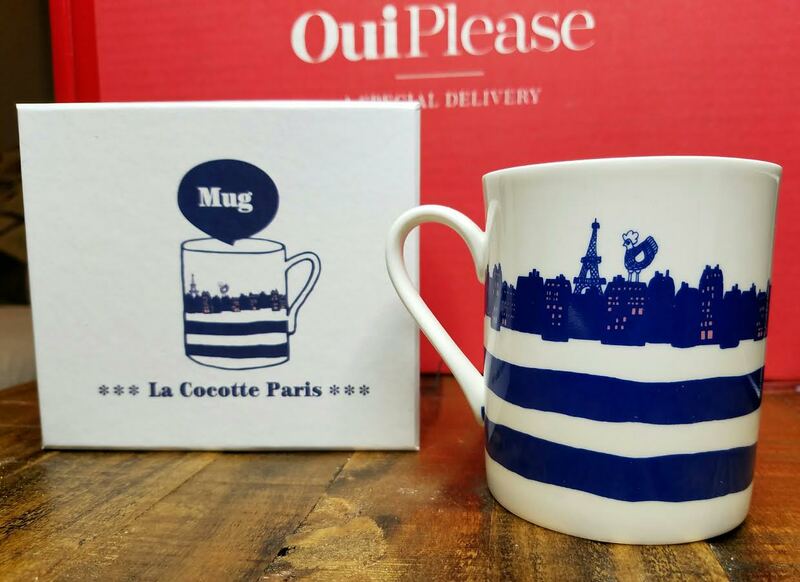 I've never been to Paris (and honestly, I don't really want to go) so I'll never be able to get one of my Starbucks collection mugs from there. This will make a nice substitute! PopUp Paris Candle- These candles have a 1 in 50 chance to have a certified diamond inside. Too bad I can't stand the smells enough to light one and find out. I've received three of these and every scent has been exactly what I don't like. This one is called Orion Nebula and it smells... well, it makes my nose itch and my headache so my guess is lavender and patchouli in there somewhere along with some ocean scents and citrus. Blech. VERDICT: Remember that insanely good Black Friday coupon I mentioned? My boxes cost me $65 so even if I hated everything, I think it would still be a good deal. 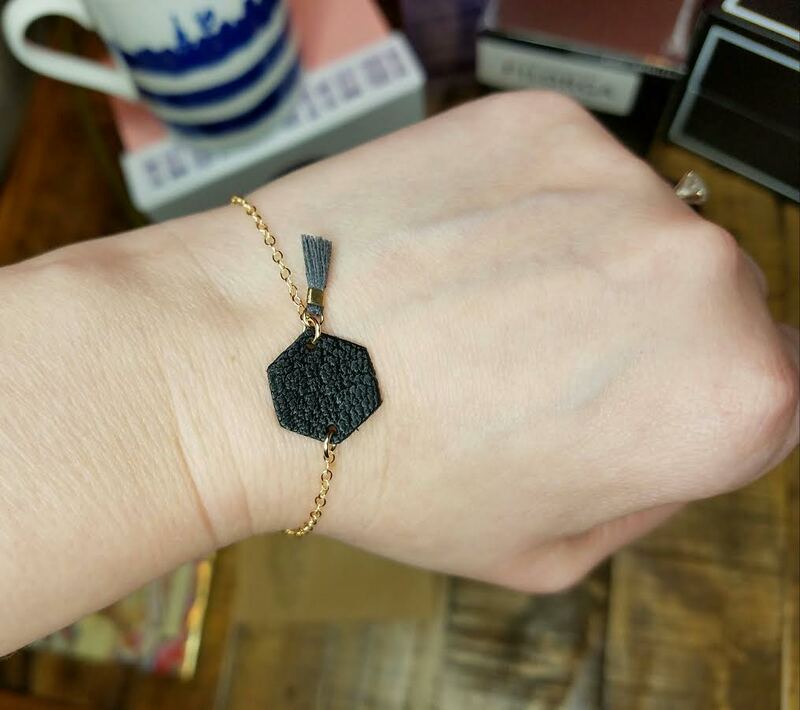 I can gift, swap or sell the things I won't use since everything is good quality. While I don't have a 40% off coupon for you, I have something close. A 30% off coupon! 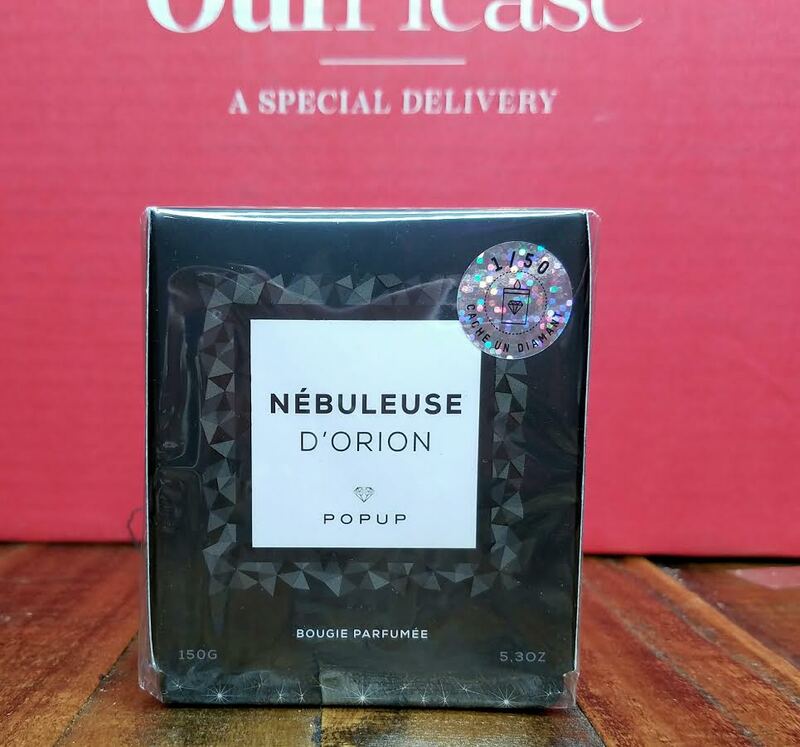 Use code OUIVALENTINE will bring a bi-monthly box down to $105. If you sign up for one year with the code, you'll get your boxes for $75 each. It's a GREAT deal! The next volume (2.6) will ship in March. Sign up here and don't forget your coupon!